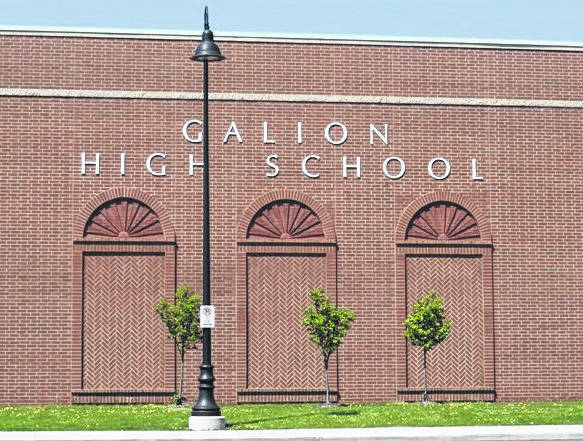 GALION — The Crawford County Business/Education Advisory Council will hold its annual Crawford County BEST Awards program Wednesday at Galion High School. The program starts at 7 p.m. Pre-program entertainment provided by the Galion High School Jazz Band begins at 6:30 p.m. The recognition/awards program honors outstanding effort by public school students and teachers throughout Crawford County. Two students from each of Crawford County’s seven high schools (Buckeye Central, Bucyrus, Colonel Crawford, Crestline, Galion, Wynford, and Fairway-Waycraft), and two Crawford County seniors from Pioneer Career & Technology Center, will receive BEST Awards. Each student recipient is asked to name an educator who has been especially inspirational and encouraging in furthering the student’s educational goals. The students may choose any educator from preschool through high school, including administrators, coaches, guidance counselors, and other personnel. Students and educators from each school district being recognized include: (Buckeye Central) Samantha Hinton (student), Samantha Fechner (student), Tyler Pope (educator) and Christine Close (educator); (Bucyrus) Annabella Flores-Eidson (student), Bing Jng He (student), Terra Hamm (educator), Brenda Stockmaster (educator); (Colonel Crawford) Haley Jenks (student), Caleb Lohr (student), Carissa Sherk (educator), Dawn Lohr (educator); (Crestline) Hope Strauch (student), Kiana Sebastian (student), Amanda Crease (educator), Katie Stasen (educator); (Fairway School) Nemisha Clinard (student), Lindsay Kemerley (student), Mike Smith (educator), Jenny Scott (educator); (Galion) Alan Evans (student), Clarissa Castle (student), Fred Rinehart (educator), Tena Eyster (educator); (Pioneer Career & Technology Center) Sierra Richardson (student), Caleb Hacker (student), Amy Taylor Sheldon (educator), Marianne Ritchie (educator); (Wynford) Christian Olmstead (student), Carson Heinlen (student), Jenny Scott (educator), Joyce Klamfoth (educator). The BEST Awards recognize students who exhibit outstanding work ethic by continually doing their best, putting forth effort, committing to the responsibilities they undertake, being cooperative and working well on a team, and being reliable and trustworthy. The Business Education Advisory Council has concluded that it is these characteristics which are most sought after by employers and that there is a need to emphasize them. This year’s Tilson Award recipient, nominated by the Galion City School District, is Galion Building and Loan Bank. The Tilson Award is given annually to a Crawford County business that shows commitment and support of education, support and participation in partnerships, mentoring, job shadowing and field trips, serves on committees that advance the goals of education, commitment to the advancement of school levies and provides financial support or support services that advance educational goals or extra-curricular activities (i.e. yearbook, academic awards, scholarships, drama). The Galion Building and Loan Bank has also participated in the annual “Teach Children to Save Day” program for Galion first graders and has supported Junior Achievement by sending volunteers into classrooms to teach children about business. The bank has also been a longtime supporter of Galion athletics through many annual sponsorships.